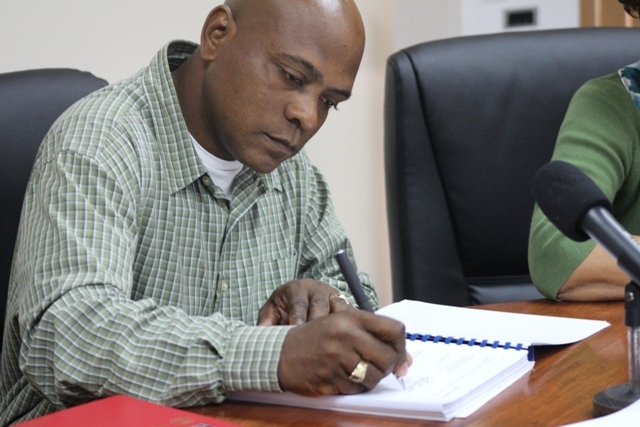 Two major road contracts were signed today in Belmopan. They will benefit the Western and Hummingbird highways. On the Western, there will be major upgrading of signage and reflectors, while on the Hummingbird, 7 miles of intolerably bad roads will be re surfaced. 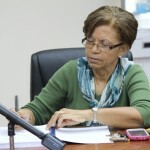 CEO in the Ministry of Economic Development, Yvonne Hyde explained to the Government Press Office:..
"The first contract that we signed is geared towards to the provision "furniture," putting up signs, marking the road, putting in mile posts and ensuring that the road in terms of the laws is properly put together." "And these are for what area?" "The signage and the furniture will be along the highway itself. You can't mark part of the road and don't have the other part marked, so we will mark the entire thing and the signs will be along the 50 miles of road; from Belize City, the round-about at the Cemetery up to the cutoff at Roaring Creek - that the 50 miles." "The second is for re-sealing of 12 kilometers, the part of the road that is white; it's very unsafe especially when it rains. It's to re-seal those parts of the road which had been deemed physically unsafe in terms of the surface of the road." "Works is to take approximately how long?" "About 12 months. If it's done according to schedule - by the middle of next year we should have a piece of road, a demonstration corridor, because the George Price is referred to as a demonstration corridor. The purpose is to show the country, to show how you can have a highway with all of the necessary items to make it a safe highway. That's why I mentioned the matter of education, because along with that comes the education - teaching people to appreciate what the rules of the road are." The contracts were awarded as follows: for the western Highway: TEICHROEB & Sons Ltd and for the Hummingbird: M&R Construction Ltd. For the 17 million Belize dollar road safety project, the next step is enacting strict seatbelt legislation. 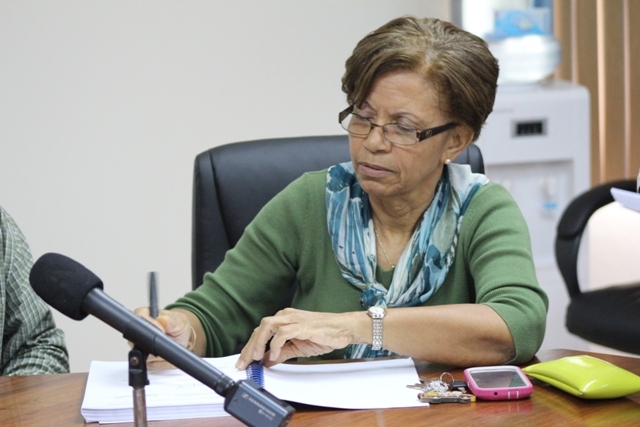 Tonight, there is some extremely welcome news for motorists and commuters who frequent the George Price Highway between Belize City and the capital. That stretch of road has been responsible for many road traffic fatalities and mishaps, and for years there has been a public outcry to address proper road resurfacing. 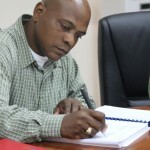 The Government of Belize, via press release, announced today that it has signed contracts with two companies, who will be working on the highway in the next twelve months. Teichroeb (Tie-crob) and Sons has received the contract for road safety furniture and delineation, while M and R construction Limited will deal with the resealing of the eighty kilometer stretch. The first contract includes the installation of safety barriers, pedestrian crossings, chevron signs, warning signs, road marking and road studs. The second includes the resealing of sections of the highway presently surfaced with limestone chippings. According to the release, the improvements are expected to contribute immediately to a reduction in road traffic accidents. 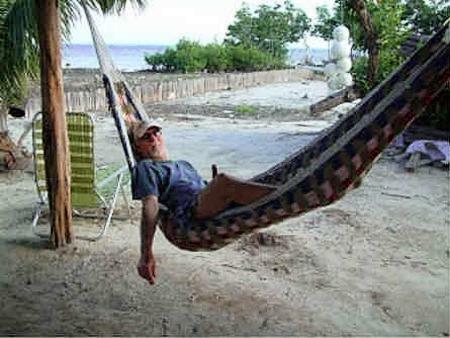 The works will cost in the region of eighteen million dollars, fourteen million obtained through a loan from the C.D.B. and the rest from G.O.B. All infrastructure developments under both contracts are expected to be completed by June 2015. Anyone know who owns M&R Construction and what they have been contracted for in the past? Call the TV station that aired the story.